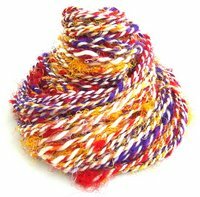 wooldancer: EMPEROR"S NEW CLOTHES a Wooldancer Handspun Soysilk Yarn! 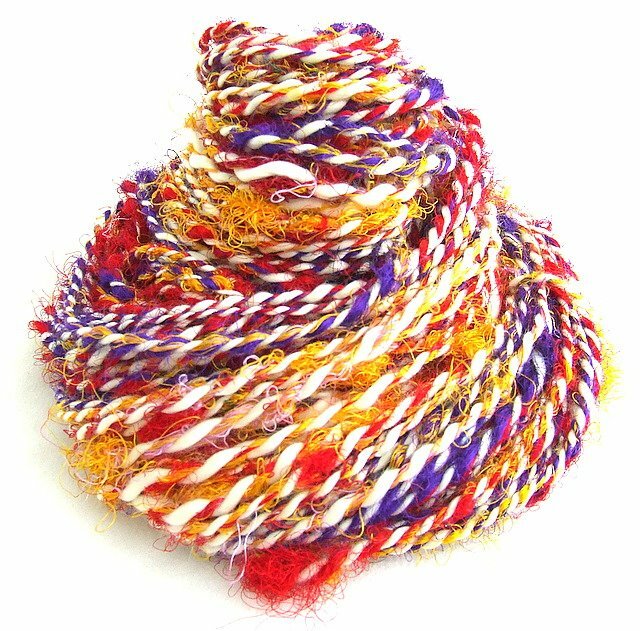 EMPEROR"S NEW CLOTHES a Wooldancer Handspun Soysilk Yarn! 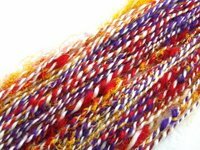 One strand of pure, smooth & luscious soysilk + one strand of crazy sari silk = the Emperor's New Clothes! Yah, wow! i had a fun fun fun time with this one - I haven't spun up a skinny strand for a while now, so t'was refreshing indeed to spin up the smoothe easy soysilk.. & at the opposite extreme, an entire bobbin of sari fiber is fun too - lots of tugging & wrenching the fiber is a rather unusual practice, & a very welcome one at that!! Very pretty. 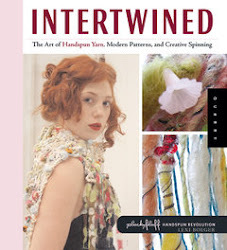 Once awhile ago, I thought it would be fun to have a shop of all vegan yarns!!! Hey that reminds me , should I use your new musical banner on our page or this one? I love both!!!! 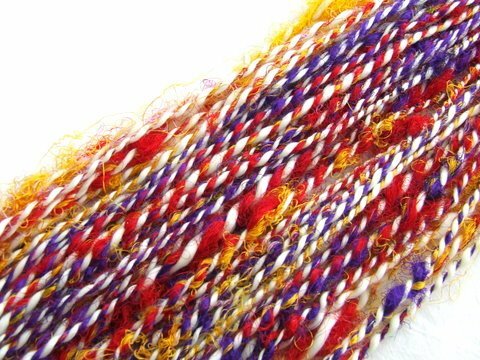 Your yarn creations are always so pretty! I especially love the Emperor's New Clothes. It's times like this i wish i knew how to knit!